Congratulations to Yvonne O’Raw Blarney United FC Club Person of the Year Award winner Season 2017/18. 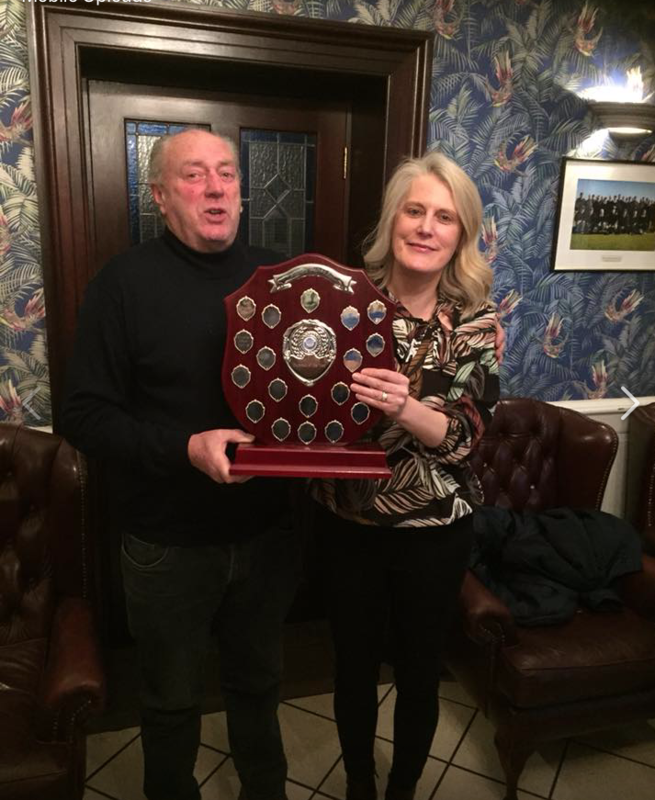 Yvonne accepted the award from Club President Henry Murphy. at a presentation at Blarney Castle Hotel. The Skechers U14 Premier saw Blarney United take on Ringmahon Rangers. A great win this month for the U12A’s v Churchvilla, with goals by Jack D’Arcy and Dara Duggan. Well done to all the boys, their coaches and parents. Thanks to Cork City FC Women’s manager Ronan Collins and coach Áine O’Donovan who visited our Girls Academy last month and took the U10 and U12 girls for a training session. A great way to end the end the first half of the season.